Registered charities have certain obligations under the Income Tax Act. The Charities Directorate monitors the operations of registered charities to make sure they comply with these obligations. revoked charities pay a revocation tax. 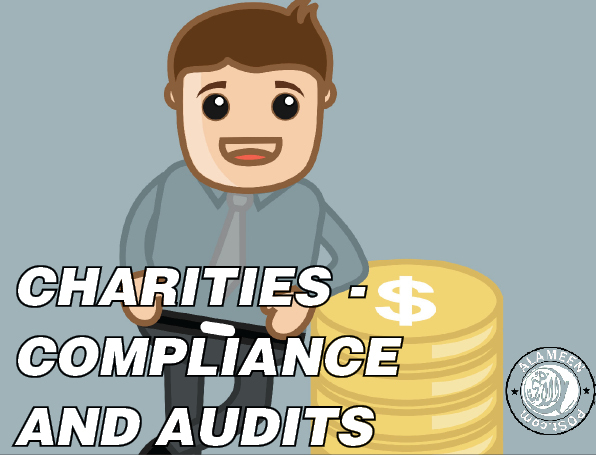 Audits help CRA maintain public confidence in the fairness and integrity of the registration system for charities and are a key part of the compliance program. While generally CRA approach compliance through education first, the approach CRA take depends on the severity of the non-compliance. 1. Education letters guide charities through the steps they need to follow to be fully compliant. 2. Compliance agreements outline areas of non-compliance and commit charities to take corrective action. 3. Sanctions include financial penalties and temporary suspensions of charities’ tax-receipting privileges as well as their status as qualified donees. 4. Revocation is the loss of charitable registration and the privileges that go with it. It is used in serious cases of non-compliance with the Act. The Canada Revenue Agency (CRA) takes abuse of Canada's tax laws very seriously. When registered charities do not fully comply with tax legislation, it places an unfair burden on law-abiding taxpayers and businesses, and it jeopardizes the integrity of Canada's tax base, as well as the integrity of the charitable sector as a whole.